I do love coming home to visit. This trip home wasn't in the best conditions because my father had to have a tumor removed near/on his prostate. Despite the circumstances, I knew he would be okay because he's determined to live and be a father to my siblings and me, and a faithful husband to my mother until his body gives up on him. He also hasn't given up on trying to persuade me to move back, and sometimes I feel like agreeing. He recently told me the reason he chose to live here and raise a family; he has found it to be one of the most healthy places to live in, mentally, spiritually and physically. Now that I've lived a year in Oregon, a year in LA, a year in Long Beach, a year in Newport, I can't say that I disagree with him. 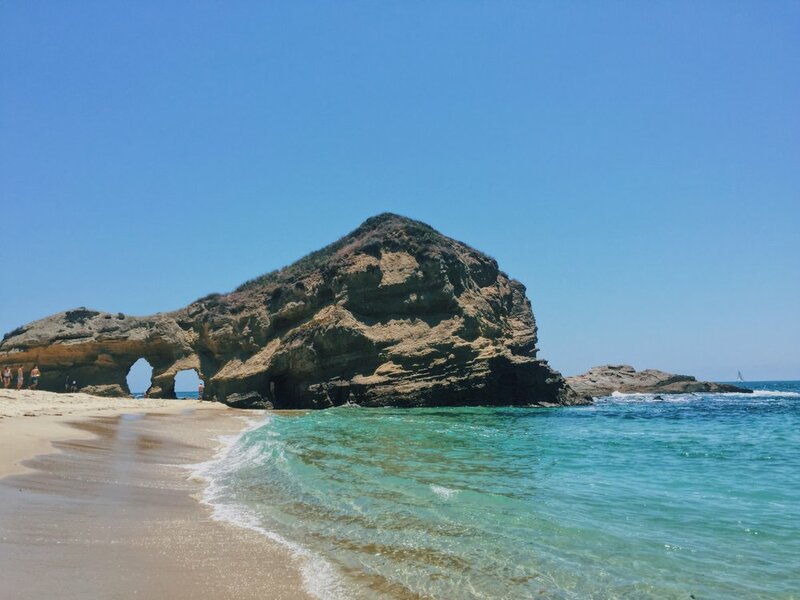 Laguna's waters are unlike any other. The beaches are pristine, and the connections I have with the people around me have yet to be surpassed. Growing up in Laguna and spending most of my existence here has taken a toll on me because every time I come back, I tend to get a bit sentimental and feel a very strong pull to stay. The sea calls to me daily, even when I am in Oregon and it's in these moments when I remember all that it has taught me. I was baptized in the waters of Oak Street beach, by my father when I realized I could no longer deny the existence of God. I learned to surf, swim, paddle board, and sail in this town and built bonds with my family and friends which eternally strengthened those relationships. Developing my sea legs came easy, and I was able to gain a solid sense of courage; I learned to grab fear by the chokehold and toss it aside, so as not to get in the way of a potentially fun and exciting moment. In the lull of waiting for a wave, paddling in silence or swimming in between a swell came a connection that I didn't realize was growing stronger each time I was out there. Fulfillment, contentment, and joy which no person, accomplishment or thing could ever mimic has become an addiction. When I’m swimming in the ocean, the sun is in the sky and salt is in the air, the world and all of its worries are paused. Gravity loses its grip, and I feel I’m home.